A pilot on Sichuan Airlines 3U8633 made an emergency landing in southwest China after a broken cockpit window sucked his co-pilot halfway out of the aircraft. Astonished citizens hailed the pilot was hailed a hero Tuesday. Liu Chuanjian braved the intense cold and blasting wind to land the plane in about 20 minutes. The pilot had to slow the flight from its original speed of about 500-560 mph. All 128 people aboard the Airbus A319 survived the ordeal. The plane was bound for Lhasa in Tibet from the southwestern city of Chongqing when the cockpit window shattered at about 32,000 feet. 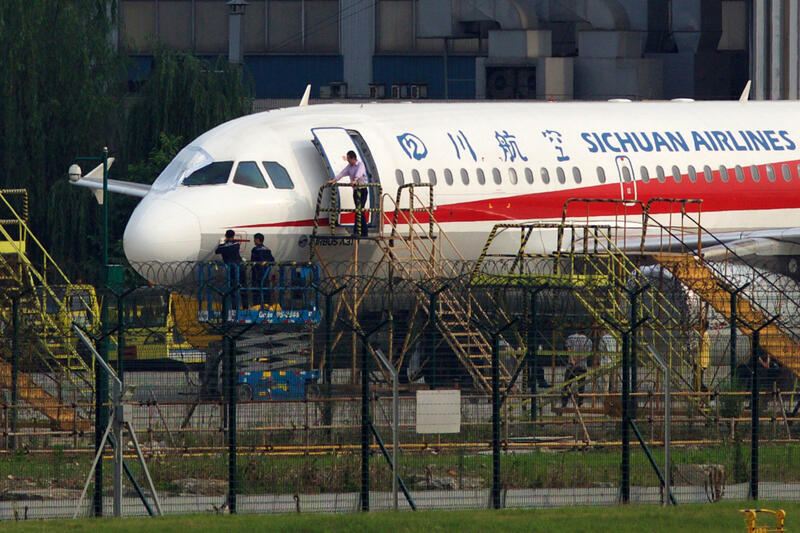 The flight was diverted to the city of Chengdu in Sichuan province. The most popular chat forum on the incident was titled, "My Hero Captain." The safety director of the Civil Aviation Administration of China said at a press conference Tuesday that the plane "shed its right windshield" as it was flying over Chengdu.